A group of three in green scrubs grab x-ray vests and strap themselves in. Another group looks closely at an ultrasound monitor. A juvenile alligator opens its mouth for a dental inspection. Another alligator, gently cradled in an aquarist’s hands, blinks as a student peers into its eyes with a scope. “Wow! There’s a lot of color. I’ve never seen this before!” she calls out. These students were all taking part in routine health exams at Georgia Aquarium this past month through Cornell University College of Veterinary Medicine’s practical and unique training program, AQUAVET® Program. Georgia Aquarium veterinarians, veterinary technicians, aquarists, and marine animal experts led opportunities for hands-on experience in aquatic animal medicine. This summer’s group of students assisted with exams of juvenile American alligators, crevalle jacks, turtles, and coral care and maintenance. 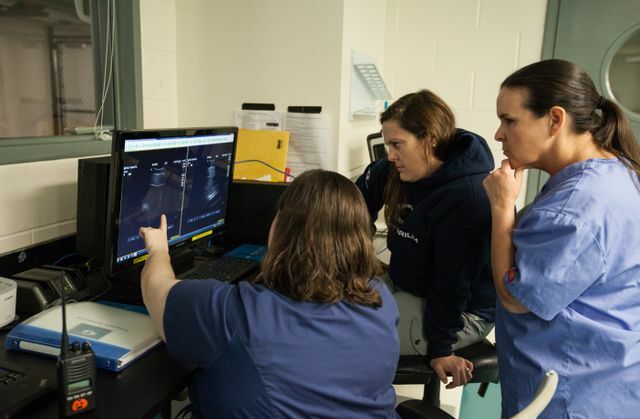 While assisting with routine health exams on several of the Aquarium’s animals, AQUAVET® students learned proper blood draw, x-ray, and ultrasound techniques, along with endoscopy and additional preventative health practices. Georgia Aquarium donated $15,000 to AQUAVET® in January of 2017. This donation goes directly towards each student’s tuition attending the AQUAVET®III program as a $2,500 scholarship. Georgia Aquarium provides exceptional care to all of their animals and is a leader in aquatic animal medicine and research. 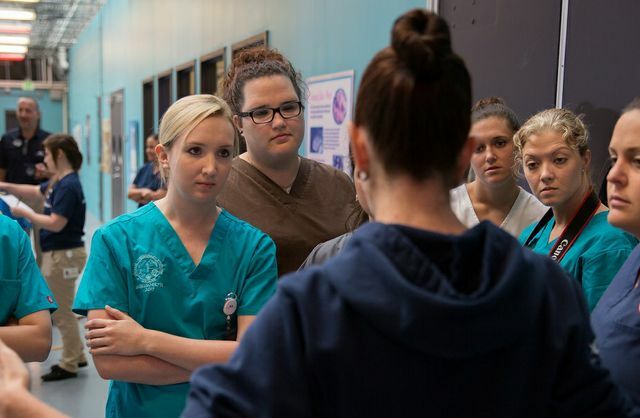 Featuring one of the largest, state-of-the-art, on-site aquatic veterinary centers, anywhere, the Correll Center for Aquatic Animal Health is a valuable asset not only to the Aquarium, but those entering the field of veterinary medicine. The AQUAVET® Program, consisting of three sequences focusing on different topics, teaches prospective veterinarians the skills required to take care of all aquatic inhabitants – from algae to fish, to invertebrates and marine mammals. Students also learn about water quality and life support systems in aquarium settings and the important close relationship between veterinarians and animal care teams. Cornell University’s AQUAVET® Program is a rigorous and competitive program. Only a handful of students are selected each year to participate. For more information on AQUAVET® please click here. 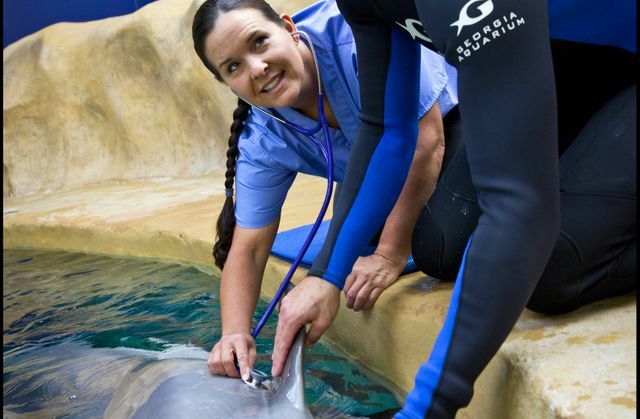 For more information on the world-class care at Georgia Aquarium, please click here.